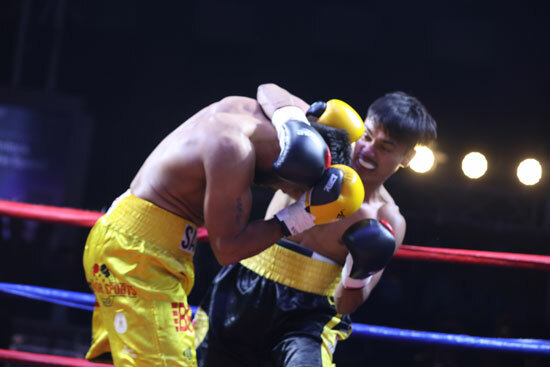 Indian Bare Knuckled Promotions sponsored Mega Boxing is presenting a solid platform for Indian pro-boxing aspirants by incorporating Indian Professional Boxing with International Professional Boxing. Being associated with the World Boxing Organization (WBO), Mega Boxing projects to establish and promote Indian professional boxing as a mainstream sport in India featuring young talent from both India and abroad. 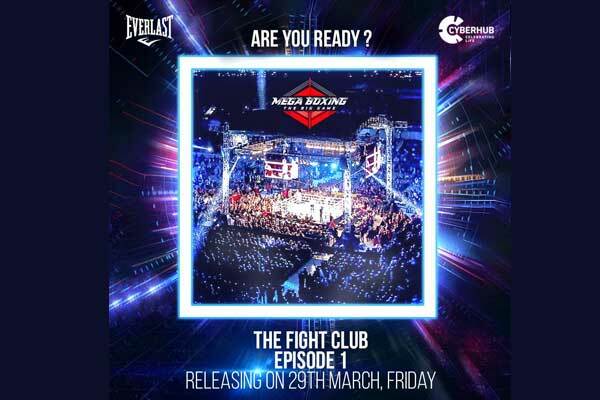 Having boxing fanatics like Anirudh Pathak, Aditya Gulati, Anirban Roy and Shailesh Singh at the helm, Mega Boxing hit the ring for the first time with their first fight night in November 2018 at DLF Cyber Hub, Gurugram. 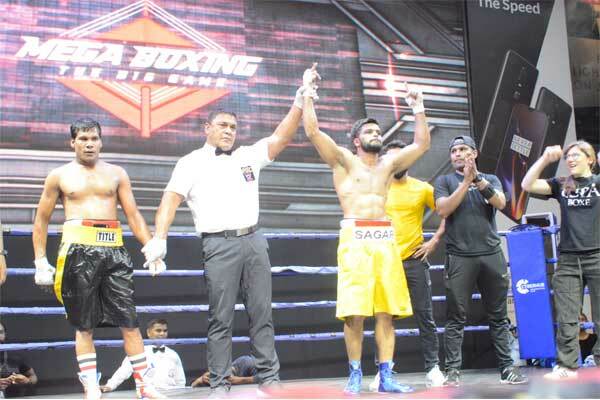 In the wake to make their ultimate vision real of creating maiden professional boxing platforms for the newbie Indian market, Mega Boxing has brought on board more than 14,000 domestic boxers from across India. It won’t be wrong to say that within a short span of time, this intelligence property of Mega Boxing is going to tap the prosperous market of WWE, UFC and One Championship. The Director Mr. Pathak being an ardent boxing enthusiast has brought Vegas Style Professional Boxing to India. While talking about the future of Indian Professional Boxing in the country and how Mega Boxing is playing a pivotal role in presenting a prolific platform for Indian Amateur Boxing to spearhead into the ring of International Professional Boxing regime, Anirudh Pathak, the director & co-founder, Bare Knuckled Promotions shares his insights to the Sub-editor of Sportz Business Kumar Abhinav. 1. 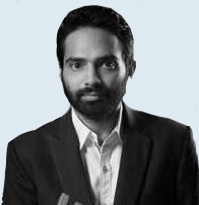 How do you see the contemporary state of Indian Boxing? 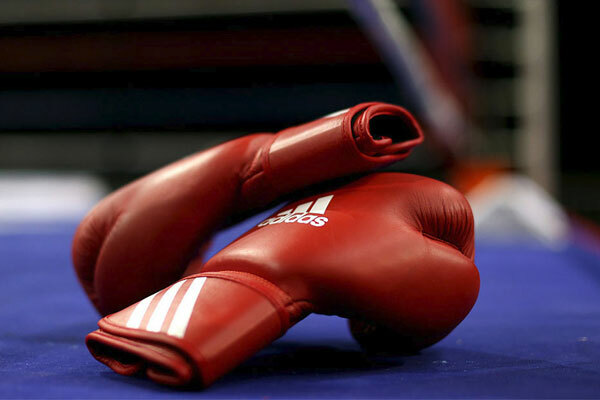 Indian Boxing has witnessed the best times in the amateur circuit and has won numerous medals. However, it is due time that they get monetized and translate to belts. In the recent past, boxing has seen positive developments since BFI came into action in late 2016 to promote amateur boxing as a sport. We believe that this will form the foundation on which we can establish professional boxing further. It essentially also means that there is a development path for boxers to improve their skills and fight in the international professional circuit now and move beyond amateur boxing. There are private leagues and platforms that have come up in the recent past and can equip Indian boxers who are looking to turn pro. These opportunities although very limited, there has definitely been a visible growth towards the possibility of a better future for our boxers. 2. What more can be done to bring more int’l level boxers from India? A boxer traverses a journey to become an accomplished sportsman. Creating an ecosystem of all the vital components would be instrumental in making them internationally competent. Providing them with proper diet, training, equipment’s etc. would be helpful in enhancing the already existing high strength value. Introducing more international boxing championships to provide them with a platform to showcase their talent can also help Indian boxers to improve their skills and definitely win in the International Circuit. However, due to the lack of proper training according to global boxing standards and improper expertise and a lack of opportunities, many Indian boxers are unable to reach their full potential. We believe that it is of utmost importance that the existing boxing community of India should invest in regular skill enhancement of boxers and also encourage them to train for bigger platforms that would help them make a mark internationally not only in the amateur circuit but also in the professional ring. Through Mega Boxing, we aim to fill this need gap in the industry. 3. How do you assure Indian boxers meeting international standard of pro-boxing in the ring? We are already performing very well globally. For example, Mary Kom is an Indian boxer who is also an internationally acclaimed star, which proves that India does have immense talent. We have many other Indian boxers that have gained immense recognition globally. This also acknowledges the presence of huge potential in the Indian boxer pool. However, to channel this potential into a superpower they need to have the correct diet, a proper workout regime, appropriate opportunities for fights and a practical growth chart. The basic ingredients are already present amongst the Indian boxing diaspora, it is just that they need the correct training to enhance their talent. 4. Talking more about the ‘Megaboxing’ how many international players we can expect to take part in the upcoming events? In every show of Mega boxing, there would be at least one international boxer, fighting in the top card fights. 5. Do you have any particular Indian Boxing club associated with you to conduct these upcoming fights? 6. How does Mega Boxing select boxers for the matches? At Mega boxing, we have developed a systematic nationwide network that is well organized in hosting fights at scout level. These fights majorly take place in Gurugram, Kolkata, Maharashtra, Jaipur and other parts of the country. The winning boxers out of these scout level fights subsequently compete with each other making their way for the next level. They are challenged against each other in an attempt to analyze their moves, strength, agility and many other physical attributes before they get selected for the main Mega boxing show. We ensure that the right training and direction is given to the boxers for the fights that we organize at Mega boxing. In this process, we are also supported by the World Boxing Organization to scout boxers. This is essential for our objective of constructing a system that assures a boxer has at least played 4-5 matches before the major fight night of Mega Boxing events so that we ca come up with an in-depth knowledge of the boxer. 7. Does Mega Boxing Conduct pre-match sparring or just conduct fight nights? 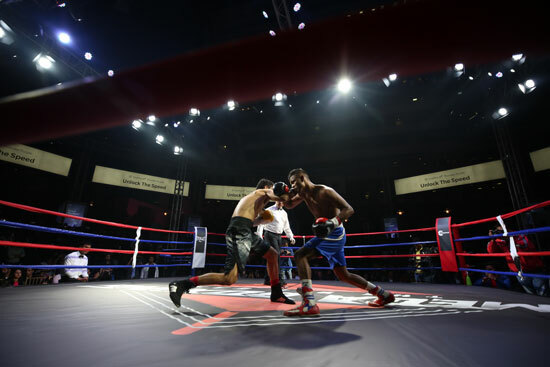 As mentioned above, we have a well-structured countrywide network with the assistance of the World Boxing Organization to facilitate the process of scouting, which involves multiple scout level fights before the main show. 8. How many Indian sponsors do you have on board for the upcoming series of events? We currently have 7-8 sponsors to kick start the season. We have partnered with the likes of DLF, Everlast, PVR, Adda 52, Monin, Fortis Hospitals and more. 9. What will be your strategy to augment the viewership of these events? We have partnered with Rooter and Sports Keeda for digital broadcast of our events in addition to an active social media broadcast via Facebook, Instagram, and Twitter Live. We are of the belief that once the sport gains popularity and people start seeing it on- ground through relevant activations; they will start following the content online. We are also in talks with major OTT players in the market to broadcast our property in the upcoming financial year. To further enhance the viewership we are in the process of developing a web series which will be rich in content. The objective of this strategy will be to reach and increase consumption of a major chunk of our target audience purely from a content perspective and which will be available throughout the year post its launch. 10. Do you have any digital media-partner broadcasting these events live or recorded? As mentioned above, we have partnered with like-minded OTT platforms like Rooter and Sports Keeda for a digital broadcast along with a sought after Social Media broadcast strategy. Apart from this, our focus is to first enhance the on-ground experience of consumers and thus, we are encouraging interested viewers to join us for our live matches that are scheduled in the upcoming months. 11. As we are talking about professional boxing which happens to be an entertaining one, so how are you going to make upcoming events entertaining for the viewers? The events that we plan deliver our audience movie like experience which will be featured by action, drama and thrill. Differentiating every fight night to be more entertaining, we would be hosting fashion, music, gaming and other engaging things in between matches for our audience.